On Thursday President Obama, along with Democrats and Republicans, are going to hold a healthcare summit, the purpose of which (or so we are to believe) is to open the lines of bipartisan communication and help President Obama gain support for a revised version of his healthcare reform plan, but is that true? I don't believe so based on what I'm reading all over the web. Has President Obama's Healthcare Bill Really Changed? President Obama claims the 33 policy changes outlined in his healthcare proposal will bridge the gap between the two very unpopular House and Senate bills, but one healthcare reform expert says the plan is not much different from the bill that passed the Senate on Christmas Eve. 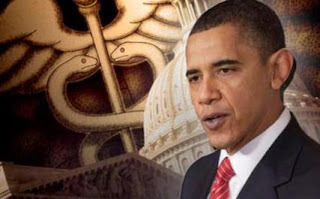 President Obama in advance of Thursday's televised healthcare summit has unveiled a healthcare plan that would cost nearly $1 trillion over 10 years, and according to the White House would provide coverage to more than 31 million uninsured Americans. It would be paid for by a mix of Medicare cuts, tax increases, and new fees on healthcare industries. The plan would also allow the government to deny or roll back insurance premium increases. Not only would the president's proposal increase the cost of the Senate bill from $871 billion to $950 billion, says Dr. Robert Moffit, director of the Center for Health Policy Studies at The Heritage Foundation, but it retains all the objectionable portions of the Senate bill. Not a lot of positive change there from my perspective, unless one considers sinking the United States another $79 billion in debt is an upgrade. America, as a whole, has never taken a fancy to what many refer to as Obamacare. A vast majority of people from all walks of life have consistently and resoundingly voiced their opposition to it from the very start and yet here we go again! No wonder February 22nd's daily tracking numbers provided by Rasmussen indicate that 41% of Americans strongly disapprove of the Obama presidency! Americans keep saying no to Obamacare and the liberals keep saying yes, even daring to leave the possibility that Americans opposed to abortion are going to soon be paying taxes to fund precisely that on the table. ONN is quoting Susan Muskett, legislative counsel for the National Right to Life Committee (NRLC), as saying President Obama's latest Senate-authorized healthcare bill is "the most expansively pro-abortion bill ever brought to the floor of either house of Congress since Roe vs. Wade." The Obama administration is "clearly turning its back on the will of the people", according to Muskett. Americans are beginning to figure out that 'We The People' have been effectively removed from having a voice in the affairs of our nation's business and it isn't sitting well. The screaming voices heard at town hall meetings all over the nation, even Republican Scott Brown's surprise election win in Massachusetts, apparently didn't get anyone in the Obama camp's attention. Why? I'm not sure, but perhaps it's because the liberal media has consistently portrayed everyone who doesn't support the liberal agenda of President Obama, Nancy Pelosi and Harry Reid as fringe radicals. Hardly the case, but maybe the Obama administration believes that tall tale is going to gain traction if told enough times and trust me when I say it's going to be told a lot on the way to 2012, especially if the Tea Party movement continues to influence politics beyond the media's ability to snuff it out. As my colleague Tim Graham brought to my attention this morning, Newsweek is not content to let its advocacy for ObamaCare lie in the realm of biased writing. Nope, it appears the gang at Newsweek wants to help along President Obama by lampooning earnest Americans who expressed their displeasure last year at town hall meetings. Why Newsweek chose to roll out its photo gallery on "The Town Hall Face" now is anyone's guess, but I believe it's part of an effort by Newsweek to deride the skeptical American public as too deranged to understand how good ObamaCare will be for them. Propaganda. Pure unbridled liberally-motivated propaganda. As the healthcare summit draws near, evidence is mounting that the event is little more than fluff, an opportunity for President Obama to get even more face time in front of the mainstream media's cameras than usual, and, perhaps, a chance for him to get in a few soundbites for his friends at MSNBC to place on a near continuous loop on their network. Why do I say that? Because the Democrats are already suggesting that some version of Obamacare is getting passed into law in the not-too-distant future regardless of what happens at the summit, defeating the purpose of a summit taking place to begin with! President Obama's new healthcare proposal will likely gain only Democratic support, and that's a good thing, Rep. Anthony Weiner (D-N.Y.) said today. "[T]his bill is a 51 vote plan and not a 60 vote plan – that is great news," Weiner said in a statement. "Democrats wasted a year bowing to the altar of Olympia Snowe, Joe Lieberman and Ben Nelson and it got us nowhere." Weiner's comments suggest that Obama hopes to pass his plan using budget reconciliation, which would only require 51 votes. Remember how much media time was spent in recent months trying to calculate whether the Democrats had enough votes to ignore the will of the people, the magic number being 60, and pass Obamacare into law? Well, it seems the liberals have figured out a way around that little issue in the wake of 'The People' being heard in Massachusetts where Republican Scott Brown took Democrat Ted Kennedy's vacant Senate seat, dropping their vote total down to 59. Although they have 59 seats in the Senate, and not the 60 needed to override Republican attempts to prevent a vote, Democrats could push legislation through using a particular process requiring a simple majority in the 100-member Senate. Republicans have blasted that idea as forcing Americans to swallow an overly ambitious plan that the country cannot afford and that the public does not want. Democrats insist that the country cannot afford not to address the healthcare issue. And to think that all of conservative America breathed a sigh of relief when Scott Brown won! We should've known better when it comes to the bunch we presently have representing us in Washington. The bottom line? If you have entertained the possibility that Thursday's healthcare summit is going to be genuine in its purported intent to bring everyone on Capitol Hill together, ask yourself why the slick 51-vote trickery has surfaced as a possibility in the days leading up to it. Isn't it obvious? From where I'm sitting the liberal message to all opponents of Obamacare, from the American people to our leaders in Washington, is clear. It goes something like this: "Obamacare is a done deal. In one form or another, it's coming whether you like it or not. We'll do whatever it takes to ensure that." As a law-abiding citizen of this great nation, I am in no position to offer any meaningful response to the liberals at this point, but my time to be heard, November of 2010, is coming. Every bum I see on the ballot that smells the least bit liberal to me, whether they be Republican, Democrat, Independent or otherwise, can count on me voting against them. Between now and November, making my concerns about Obamacare known and voicing my utter disapproval of taxpayer funded abortion is all I can do and all I advocate anyone of the Christian faith doing in response to the outrageously unconstitutional behavior of our leaders in Washington. In closing, my prayer is that God will speak to the hearts of His people here in the United States, as well as to our leaders. We, as a nation, have lost our way terribly of late with no let-up in sight, but prayer can change things. Prayer and living out God's will for our lives to the very best of our ability each and every day.